Hands and fingers in dreams often get no respect! They may be easily over looked or taken for granted in dreams unless one pays careful attention to all the symbols in one's dreams. However, despite their less than starring role, they may give important clues to interpreting a dream's meaning. Below are some ideas on what hands may symbolize in dreams. Think of all the things we accomplish with our hands. We can create great works of art such as Michaelangelo's Cistine Chapel's ceiling. Or we can sculpt amazing pieces such as Rodin's 'Thinking Man.' Or we may write a classic novel such as Flaubert's Madame Bovary. Hands in dreams can be asking us to look at our creative instincts and follow them. We often ignore our creative instincts, think that there are more useful things to be done with our time, or we may feel that we haven't the time to engage in such endeavours. But if hands and fingers continually appear in your dreams, they may be pointing to some artistic talent that is not being utilized but which desperately wants to be. A "great dream" I personally had led me to take my writing much more seriously. I dreamed that bees were constantly landing on my right hand and which frightened me immensely until a voice in the dreams actually said, "They just want you to give them the honey." I immediately knew that the message was that writing was a sweetness in life that I needed to make a priority! Hands are one of the most important players in the sharing intimacy. They are used to touch another and provide support and sympathy. Mother's may stroke a child's hair to soothe a physical or emotional injury. Hand-holding may be the first step lovers take on the path to an romantic relationship. Dreams are usually either compensatory or complementary. Therefore, it you are dreaming of being touched in some manner, this can either symbolize the intimacy you already have in your waking life or it may symbolize a desire to have such intimacy. If you have dreams where any of these acts are occurring, the dream may symbolize either a need for intimacy, or may be a reflection of intimacy in your waking life. Hands in dreams may also be a sign that one is feeling overwhelmed in waking life and is in need of assistance. Wordplay is one way dreams communicate their meaning and the phrase "lending a helping hand" is common phrase we use in waking life. 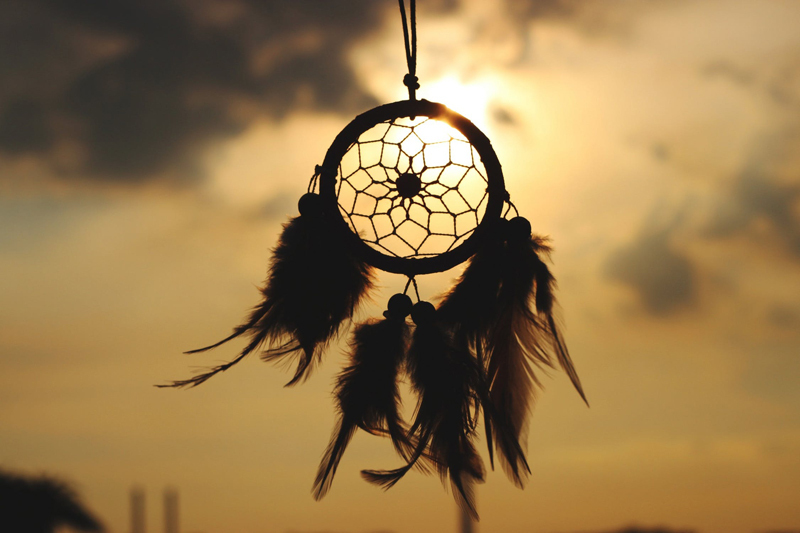 If you continually see hands or experience dreams where you or someone else is reaching out, the dream may be asking you to allow another to provide you assistance. We are often shy about asking others for help, even when when we are in dire need of it. Dreams hands may be saying that it is time to let go of such resistance and accept aid. Alternatively, hands may also symbolize a need to help others. It is important to look at what activity the hands are engaged as this will usually clear up any confusion about the dream's meaning. For example, if one is constantly washing one's hands, this might be interpreted as a need to expunge a guilty conscience in a Lady MacBeth fashion. Alternatively, this might be interpreted as a need to rid one's self of something - to "wash one's hands" of it ala Pontius Pilate. Pointing fingers is another way of symbolic assigning guilt. Look at who the finger is pointing - is it pointing toward you or another? Holding hands with another may symbolize union which may be physical or may be a psychological union of opposites. Those who engage in palmistry use the hands to predict the future. If such an activity occurs in dreams, one might be concerned or anxious about the future. Hands are also used in blessings and seeing a priest or some other figure engaged in such an activity may be an indication of the archetypal "wise old man" figure and may indicate that one's present course of action is correct and/or approved of by one's unconscious. Hands are also often used in communication. Not only are they used in sign language but many people "talk with" their hands and therefore hands may be asking us to look at how effectively we are communicating in waking life. Hands are an invaluable part of our waking lives, and are therefore extremely potent symbols in dreams - try not to miss out on what they are saying to you. Amazon's Kindle is a wireless portable reading device that allows you instant access to books, magazines, and more - learn more about it by following the link below.